The Scratch Extension Library dialogue box should now include an extension called “Scratch Radio”. 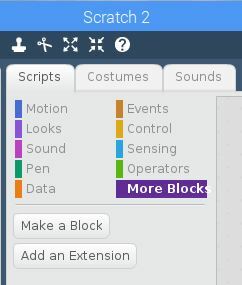 Selecting this and clicking “OK” will load the Scratch Radio extension blocks ready for use. Assuming that the LimeSDR-Mini device is correctly reported, the Scratch Radio extension should now be ready for use. This will remove the extension files from the Scratch2 installation directory but leaves the GNU Radio and LimeSuite installations intact.